For a limited liability company to succeed in the increasingly competitive market, it needs to operate with a unique brand name. As the owner of a LLC, you may need to conduct a LLC availability name search for a variety of reasons. One of the most popular reasons that LLC owners need to conduct searches is because they are planning to move their LLC to a different state. Unfortunately, running your LLC in your current state and registering to conduct business in another can get complicated. Therefore, you should consider forming a new business in your new state. To do so, you need to determine if your LLC name is available. Continue reading to learn how to conduct a LLC availability name search. 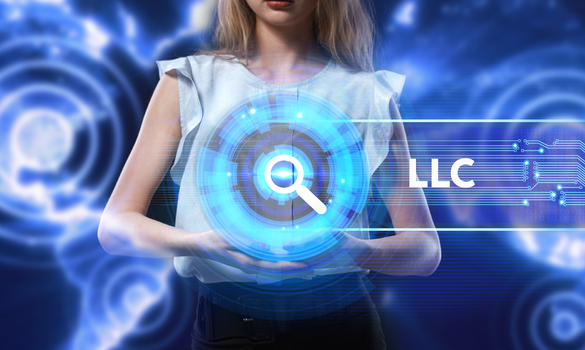 To begin your LLC availability name search, check for existing trademarks. This step is fairly easy for business owners to complete. More so, it can be fun and exciting. You could gain insight into successful words and phrases in your industry. If you think you may want to alter the name of your current business slightly, you can use these new words for inspiration. You can also come up with small business advertising ideas when browsing through similar companies’ sites. In doing so, you will easily find out if your LLC name is already being used as well. If you come across a name that is similar, that is an indication that you need to choose a new name as well. The state prefers to keep business names as different as possible to avoid any conflict or consumer confusion. Look up existing trademarks in your new state to start conducting a LLC availability name search. When searching for LLC name availability, utilize your new state’s website. If you own a limited liability social work business in New Jersey and want to move it to Delaware, visit Delaware’s government website. Most states maintain a Department of State site. New and existing business owners use their states’ websites to obtain necessary business entity information. Such information includes name availability for a variety of business entity types. Before beginning your search on a state website, ensure that you have the correct URL plugged in. Avoid entering information into a fake website to prevent getting scammed or losing valuable information. Each state’s website will look different, but they are equally reliable for conducting a LLC availability check. While Department of State websites are very advantageous during the LLC availability check process, business owners use other reliable sites for numerous reasons. Firstly, some states do not allow business owners to search for possible business names on their government websites. Secondly, some business owners prefer to double check their searches. Regardless of your reasoning, knowing how to find reliable sites to search for name availability in your new state is beneficial. Search for popular sites that do not charge fees for searching. If you come across a website that requires payment to conduct a search, find another site. Avoid scams by looking up reviews and find out if your LLC name is available in your state for free. Once you choose a website to conduct your LLC availability name search on, look up availability by name. This option will look different depending on the website you choose. Florida’s database, for instance, offers a “Partnership Name” search. Although the name does not include “LLC” in it, you should conduct your name search there. The name search option provides data on all business entity types. You can plug your entire business name into the search bar or just a fraction of it. If you plan on altering your name and want to keep a word or two from your existing name, just enter those words. Search by name to make your LLC availability check quick and easy. Finally, certain states require business owners to mail in their LLC name requests. Such states, like California, do not allow name searches to be done online. If you want to move your business to California, you have to mail in the LLC name you wish to register. The state provides Name Availability Inquiry Letters on their government website. The document allows you to request name checks for three different names. Print out the letter, fill it out and get it in the mail as quickly as possible. After all, entrepreneurs and experienced businessmen establish new businesses every day. More so, many of them favor how a LLC limits liability. Thus, LLC name availability changes constantly. To ensure that you are granted your desired LLC name, get your letter in fast. Profitable limited liability companies were established using memorable business names. Since you are moving your LLC to a new state, you need to check name availability all over again. To begin your name availability search, check for existing trademarks. Then, move onto using your new state’s Department of State website if available. If you are registering in a state that does not offer LLC availability name searches on their government site, look for another reliable site that does not charge any fees. Once you find a good website, enter either the full name that you desire or a small part of it. When trying to register in states that do not provide online name availability searching, mail in your inquiry. Follow these steps to effectively conduct a LLC availability name search and begin doing business in a new state.